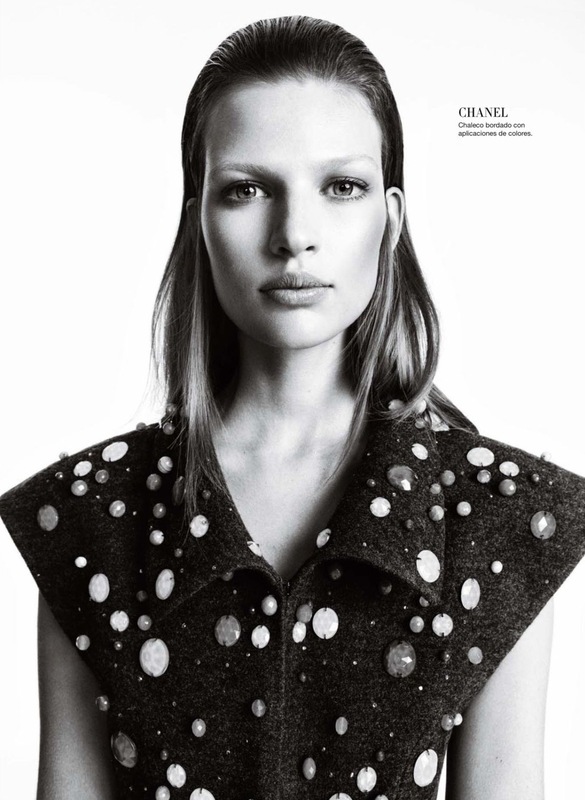 I really dig this super cool editorial in the January 2013 issue of Harper’s Bazaar Spain. Carmen Kass is photgraphed by Nico in sportwear and traineers paired with beautiful fur coats. I love the combination of the unexpected match. I also like the idea that they have styled Carmen in luxury watches and jewellery, with the sporty pieces. Excersice in style right? First of all, great cover. Heather Marks looks stunning in an amazing Valentino gown. Second of all, that clutch from Louis Vuitton is amazing! So cool. I have begun to dig Louis Vuitton pieces – leather goods, clucthes, shoulder bags….you name it. Ok, not the cheesy one, by all means. But the cool and retro stuff. I’ll show you more what I mean later. 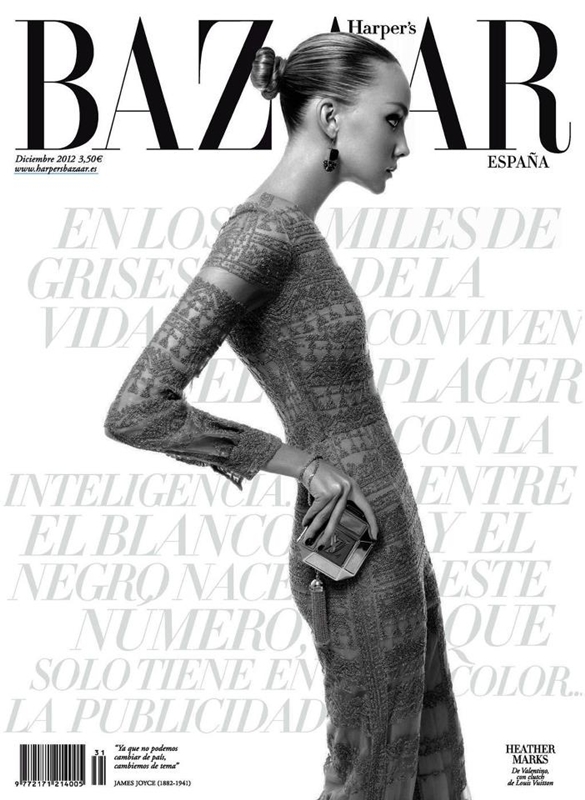 Anyway, this cover is photgraphed by Xevi Muntané for Haper’s Bazaar Spain December 2012. White-on-white and noir-on-noir is the right way to style it for a simple and modern look. My favourite piece every fall and winter is the menswear inspired coat – looks great to almost everything. Style it with a pair of slippers or loafers and you look hot, hot, hot. Editorial ‘Shape of the Season’ is shot by Daniel Jackson featuring Toni Garrn in US Harper’s Bazaar September 2012.